We not only encourage learning; we encourage the love of learning by allowing children to learn at their own pace. The Bright Start Child Development Center is committed to providing a warm, safe, nurturing, and cooperative family oriented environment for children to grow in the social, emotional, cognitive and physical developmental areas. We have programs to fit a variety of needs: Full Time and Part Time programs are available for Toddlers and Preschoolers. We also have an Infant Program starting at 5 months old. Exercise is essential for children’s healthy growth. Kid-Fit is a private program and is conducted by a staff well trained in child physical education. The Bright Start Child Development Center is committed to providing a warm, safe, nurturing, and cooperative family-oriented environment for children to grow in the social, emotional, cognitive and physical developmental areas. We believe each child is a unique individual bringing special attributes to the group. 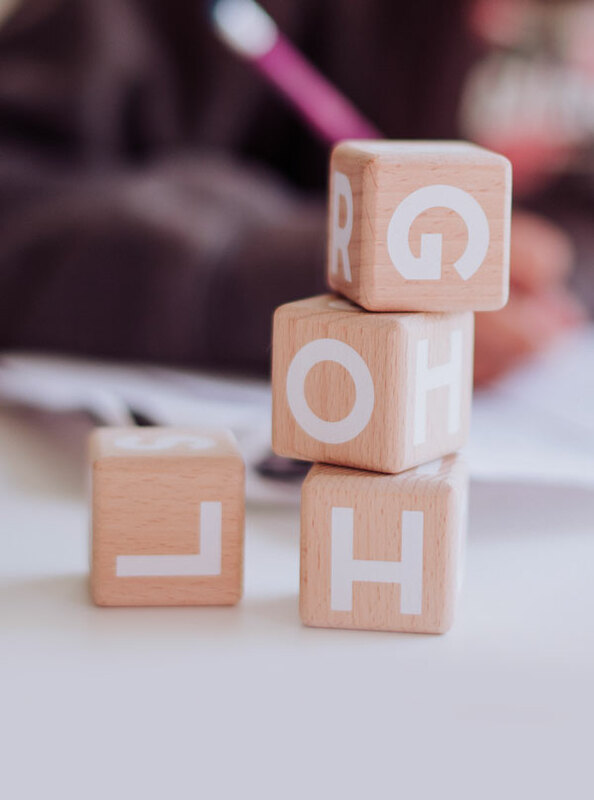 We provide developmentally appropriate activities and learning experiences that focus on the process of learning so that each child experiences personal success. We not only encourage learning; we encourage the love of learning by allowing children to learn at their own pace. The cornerstone of our philosophy is the enhancement of social and emotional skills, whereby each child gains the building blocks to support successful and enriching peer interaction. Cognitive and physical experiences work to support the development of the whole child. This is accomplished in a progressive age-appropriate environment guided by a professional teaching team that facilitates the child’s learning process. Together we help children to have their brightest start toward a lifelong love and enthusiasm for learning. We are having an Open House on April 6th, 2019 from 10am-12 pm. We will be enrolling for Summer and Fall. We give tours throughout the week. If you are interested in a tour of the school please contact us by email or phone to schedule an appointment. Our office hours are from 9am-5pm. Here at Bright Start, we combine both a play-based philosophy as well as an academic philosophy. This way, children are exposed to the benefits of both programs. At certain times, such as circle time, it is more of an Academic program that is teacher-led. Although children are encouraged to participate with their opinions and experiences, as well as their questions, the teacher is the primary guide. At other times, such as playtime, children are the innovators of their activities. Their imaginations run rampant and significant dialogue amongst the children are exchanged. To someone looking in from the outside, it may look and sound chaotic, however, meaningful interactions are being made. These interactions amongst the students go on to be the essential foundation of their years in preschool and their progression into kindergarten. We have been serving the community for the past 22 years. We base our services and programs on the needs of the community which is ever-changing. Due to the need in the community, we now have an infant center. We start with the basics. Children not only learn the alphabet and practice writing, they learn the basics from how to hold a pencil too the sounds each letter makes. From there, we consider every child’s developmental level and work with each individual child to meet their reading and writing needs. Math and science are incorporated in our monthly curriculum. Children learn fun ways to explore adding and subtracting numbers by using various objects, number games, and activities. We combine science with sensory stimulation so that children are able to have a hands on experience during activities. We incorporate nature in both math and science activities. Art is highly encouraged and implemented throughout various curriculum topics. Children will learn and take pride in painting, coloring, gluing and even cutting their own projects. We encourage children to create projects in their own way to use their creative minds so that the outcome of each child’s project is unique and individualized. Children develop problem solving and critical thinking skills through active play and interactions with other children. Although we have an instruction time that challenges children to engage in critical thinking, interactions are a very meaningful way for children to engage in problem solving, create through imagination, and communicate their thoughts to others. Enrollment is year-round and based on availability. You may fill out an enrollment application and submit it to Bright Start. You will be contacted to discuss availability based on your request on the application. With the approach of the Thanksgiving Holiday, we count all the people we are most thankful for and Bright Star CDC management and teachers are most certainly at the top of our list. We thanks you for providing all the love, care, guidance, education and happy memories to our children Nareh and Sareen during 2015. Nareh has been excelling in Kindergarten from day one. As a matter of fact, she was selected as the very first “Super Kid” in their classroom. We owe her success for the most part to the hard work of her teachers in Bright Start who have laid the foundation for her future academics. There are teachers in her school who know of Bright Start and speak highly of our preschool’s excellence and distinction. We are sure that Sareen is going to thrive as well. It’s a pleasure having Naira in your wonderful school. She truly enjoys coming to school and she absolutely adores Mrs. Armineh, but the time has come for her to start a new journey. She will be in kindergarten soon and is very much looking forward to going to “big kids school”. 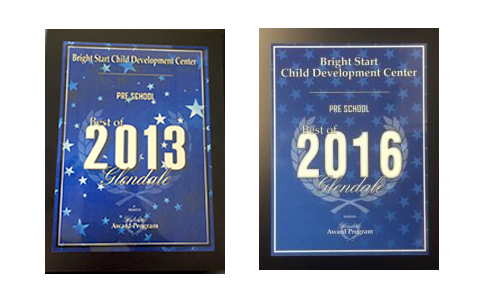 We would like to thank everyone at Bright Start for all their hard work and dedication. We have been a Bright Start family for many years since our 3 children went there and started their beginnings with Bright Start. We will miss you! We would like to thank the staff at Bright Start for 3 wonderful years. We see a great personal growth in Harrison. We wish you continued success and we would recommend Bright Start CDC to our family and friends. I just want to quickly express myself to you and your staff. As you know I go pick up Andrew and most of the time I go with Henry. As you have seen Henry can’t wait to join Bright Start !!! I just want to express that we are very happy Andrew attends Bright Start, the staff; always make us feel welcome, demonstrate so much dedication and care for Andrew and the children and Henry as well (and he doesn’t even go there yet). I feel it’s important to compliment all the teachers and acknowledge all their hard work as well as yourself. Thank you Bright Start! We can’t begin to express our sincere gratitude for taking such good care of Chloe. She’s truly loves every minute of it and has very happily and voluntarily come to school each and every day. Thank you so very much! Thank you so much for allowing Landon the opportunity to be a part of Bright Start. You have such a wonderful program and staff. Everyone is so kind-hearted and shows so much love to the kids. Thank you so much once again for making our transition o California that much easier. Thanks to all the staff for the kindness and caring they have given to Landon. We will miss you! 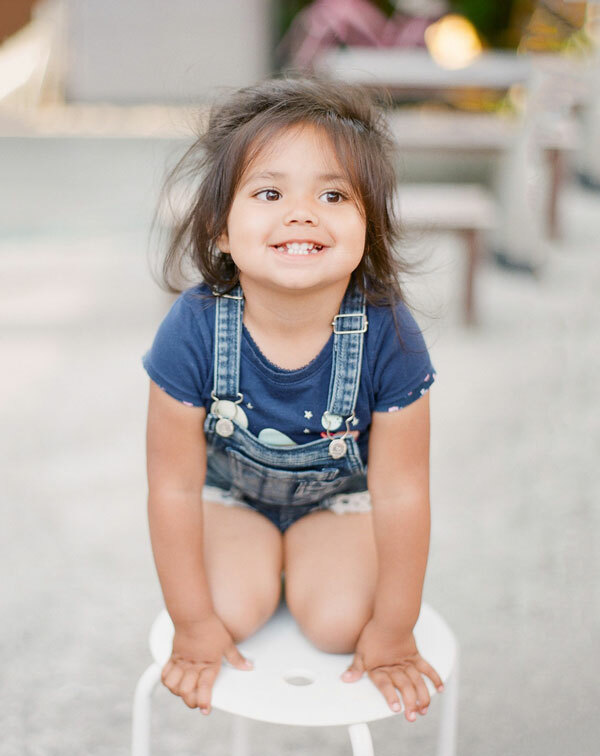 I felt the urge to send you this short note to tell you how happy and satisfied Silva and I both were throughout the past 5 years with Bright Start’s care and attention to our two kids – Aleena and Haig. The peace of mind that your childcare center inspires in many of the parents we have gotten to know during this time is simply priceless! It takes great leadership on your part and devotion and professionalism on the part of your entire team to earn the accolades that Bright Start so truly deserves. The morning greetings, the hugs and kisses, the cleanliness and safety of your facilities and above all, the CARE you all provided makes us more than happy to recommend Bright Start to our friends and family. Needless to say, true to its name, Bright Start is not only a day-care center … it is a Child Development Center (“CDC”) – par excellence! Once again, a big THANK YOU. Although we have no plans for a third at this point, if it happens … be sure you’ll see us again. © Bright Start CDC | site by eki designs inc.